In this chapter, we briefly review some important concepts that are relevant to further discussions. First, we introduce attack graph and its related concepts. 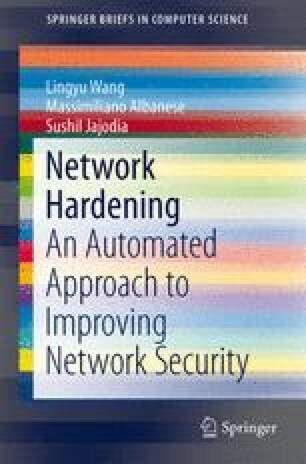 Second, we formalize the network hardening problem. Third, we briefly review standard heuristic approaches and their applicability to network hardening.